Spread ricotta cheese on two pieces of fresh multi-seed bread. 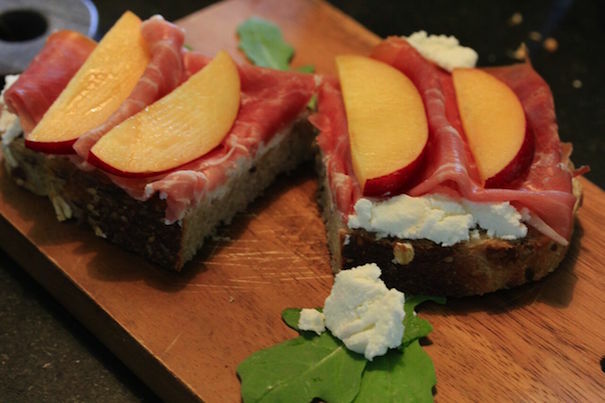 Layer nectarine slices and prosciutto over the ricotta. Drizzle a few drops of balsamic vinaigrette over the top of the sandwiches and serve.